Time will only tell how good President Obama will be for the progress of human rights. 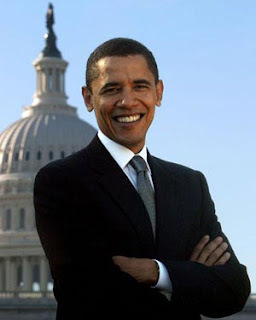 His agenda is cut out for him: close Guantanamo (and give it back to Cuba, while he's at it); ratify the Rome Statute of the International Criminal Court; get US troops out of Iraq; cut US assistance to Israel until it tears down the wall and withdraws from the west bank; provide all Americans with medical care; appoint some liberal judges to the Supreme Court who will abolish the death penalty. But even if he does none of the above, his election is of huge symbolic importance. I've put up a few photos of African Americans who helped move the goal posts: Jackie Robinson, the first black to play in major league baseball. 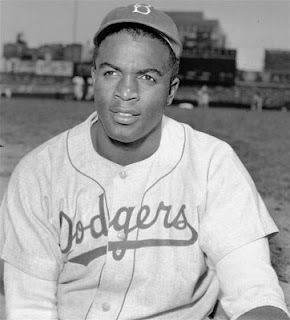 He joined the Brooklyn Dodgers in 1949 after a trial run with the Montreal Royals. The Dodgers manager had sent Robinson to Montreal to prepare him for the big move. Robinson lived among French Canadians, who welcomed him warmly in a manner still unthinkable if he had tried to live with white Americans. 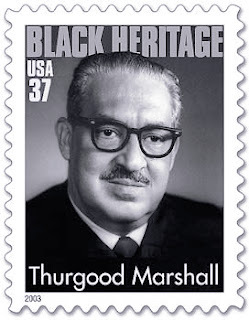 Thurgood Marshall, the first African-American judge of the United States Supreme Court. He was appointed in the 1960s, after leading epic judicial battles for equality as counsel for the National Association for the Advancement of Coloured People, including the historic Brown v. Board of Education decision that was the beginning of the end for segregation in education. And now, Obama. This is a defining moment in the struggle against racial discrimination that has been so central to the modern human rights movement, both within the United States and internationally.